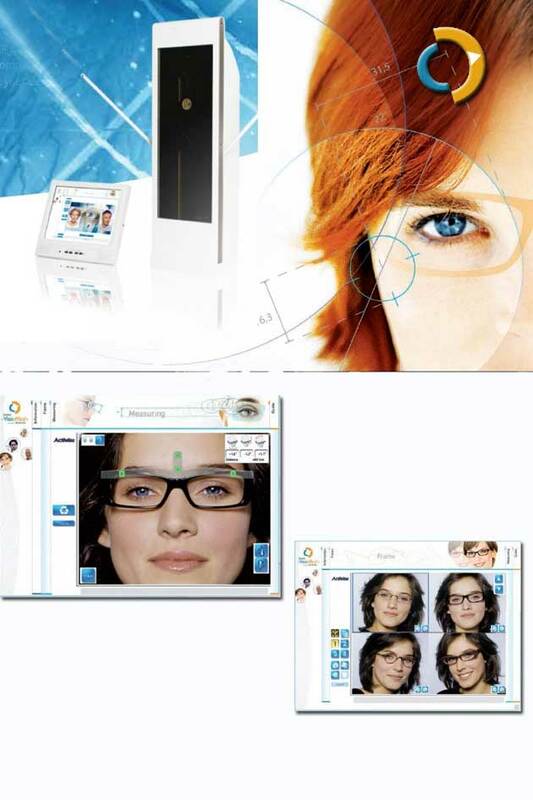 Mr. Blue , Essibox combined with Essilor's Visioffice has resulted in providing absolute precision in frame measurement and lens fabrication. Teaming up these three partners means enhanced equipment connectivity and optimized job management. Your electronic medical record Rx from the exam room is brought into your optical fabrication chart to start the process. 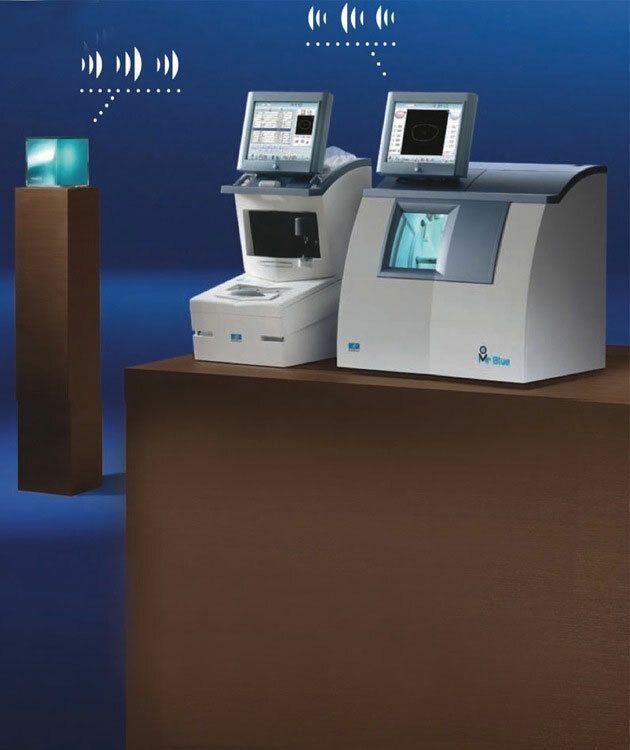 The fitting measurements from the Visioffice allow exclusive 3D eye measurements resulting in 5 times precision in design allowing for breakthrough lens personalization. Mr Blue achieves absolute centering control of high Rx lenses ensuring outstanding optical accuracy. By incorporating a special high curved lens cycle for those more difficult lens to frame fits along with a variable geometry bevel profile to reduce lens thickness, the result are a more cosmetic beautiful edged lens. Select up to four frames and sit down and go to the movies to see yourself live. Email your choices to your friends to help you decide the perfect look.